Summary: Hecaro is an advanced electrically conductive adhesive (ECA) that contains exceptionally little silver but delivers performance equivalent to high silver ECAs. In addition to the overall cost savings, Hecaro has been optimized for screen-printing, fast curing and long term reliability. All these factors position Hecaro to be an enabler of advanced solar cell interconnection designs such as shingling, IBC, HJT. Summary: UNIQOAT, the only backsheet that has all the required properties combined in just one single layer. Compared to old school laminated backsheet UNIQOAT boosts the durability of modules, contributes to higher power output and presents a unique and sustainable cost down roadmap. Agfa’s UNIQOAT fundamentally eliminates adhesion issues and the risk of delamination by offering the backsheet that includes all relevant functionality in one single layer: the mono-backsheet. This is achieved by using Agfa’s proprietary coating technology to modify the PET surface during the PET extrusion process itself making this a truly the next-gen backsheet. Summary: The LED solar simulator Ecosun Bifacial, offering an excellent measurement accuracy (AAA), was developed to measure the I/V characteristics of the front and rear side of bifacial PV modules at the same time. Different irradiation intensities can be selected for the rear side, ensuring that the testing is flexible and realistic. Summary: Profitably processing a silicon wafer into a flawless solar cell is a key step in photovoltaic manufacturing. FABiA® cell deposition equipment is the only passivation machine on the market which combines three processes in one tool and offers benefits for future upgrades as a flexible modular system in mass production. FABiA® is qualified for PERC, PERx, p-type and n-type cell concepts, as well as mono and multicrystalline wafers. The new FABiA® combines all market proven benefits of the industry leading passivation technology MAiA®, with over 30GW equipment installed and in operation on the market worldwide. This makes FABiA® the ideal technological evolution for delivering top quality passivation process for reduced overall production costs and ensuring a high return on investment. Advanced interfaces and no vacuum breakage provide further improved cell passivation, resulting in increased cell efficiency and equipment reliability which significantly reduces overall costs throughout the operational cycle. Summary: Hi-MO3 half-cut bifacial PERC module series have led the industry in technology development of monocrystalline PERC with high power, high yield and low LID. Hi-MO3 combines advanced monocrystalline PERC cell technology and bifacial, half-cut module construction to provide energy producers with a brand new choice to reduce LCOE. Hi-MO3 uses half-cut techniques to reduce the operating current of the cell by half, effectively reducing resistance losses and increasing power by 5-10 watts on average. With bifacial technology, the front-side power of the module reaches 320W (60-cell), and the bifaciality is higher than 75%. Under shaded conditions, Hi-MO3 yields more energy than a full-cell module array. The advantages of Hi-MO3 include lower hot spot temperature that reduces LCOE by a factor of 10% or more compared to conventional products at all irradiation levels. Summary: The FLEX Series module is a CIGS based flexible thin-film PV module that provides high power density for many types of roof applications. The panels are the highest efficiency, flexible, thin-film product on the market today, with >16% cell efficiency. The FLEX-W Series module bonds to the roof surface with a simple peel-and-stick adhesive. This adhesive approach eliminates the need for racking and reduces labor and logistics cost to provide a 20% lower BOS cost than traditional glass solar systems. The FLEX Series module is IEC 61646 & IEC 61730, UL 1703 and Class A over TPO: Slope 2.5:12 certified. Summary: Hanwha Q CELLS is constantly working on user-friendly possibilities to decrease the cost of electricity by the using energy from the sun. As a leading company in solar module technology, Hanwha Q CELLS is always looking to push technological boundaries. The new Q.FLAT-G5 is a revolutionary flat roof system for an easy, fast and safe installation without the need for any roof penetration. The innovative mounting system minimises the installation effort, and the float mounting of the modules increases long-term stability and safety. 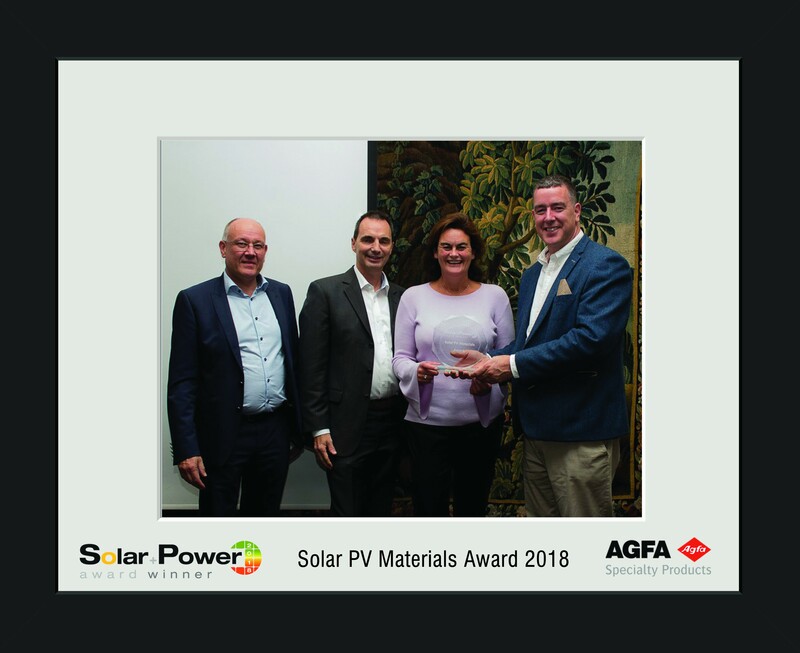 By using our exceptional Q.PEAK DUO-G5 solar modules (last year’s Solar + Power Award winner and the Intersolar 2018 Award winner) we’re reaching an outstanding power density of up to 170 Wp/m², which sets a new standard in power-per-surface-area on flat roofs. With a 10° inclination on both sides, Q.FLAT-G5 is the ideal solution for highest energy yields and lowest LCOE. Furthermore, compared to its predecessor the Q.FLAT-G4, installation time has been halved. 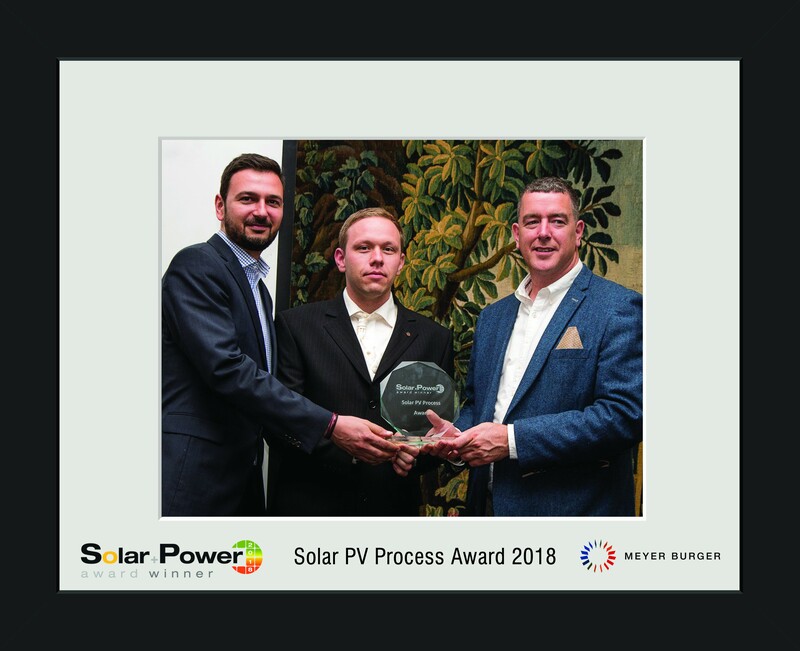 Summary: VPP and Grid Services - SolarEdge’s innovative solution for grid services and virtual power plants (VPP) supports a new model of energy generation based on an interconnected grid and distributed generation. 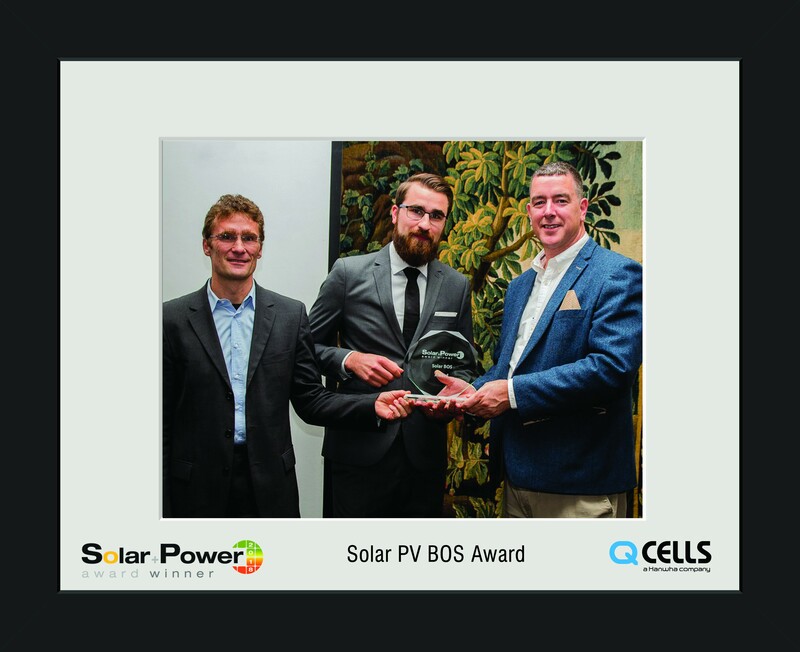 Promoting a shared energy economy, SolarEdge’s grid services offer near real-time aggregative control and data reporting enabling the pooling of PV, storage, EV chargers and loads in the cloud for the creation of VPPs. Offering benefits to all stakeholders, the solution provides utilities with the tools to leverage distributed energy generation systems to more efficiently meet demand. Energy retailers can enjoy increased protection from price peaks and PV system owners can increase their revenue by joining this new energy economy. 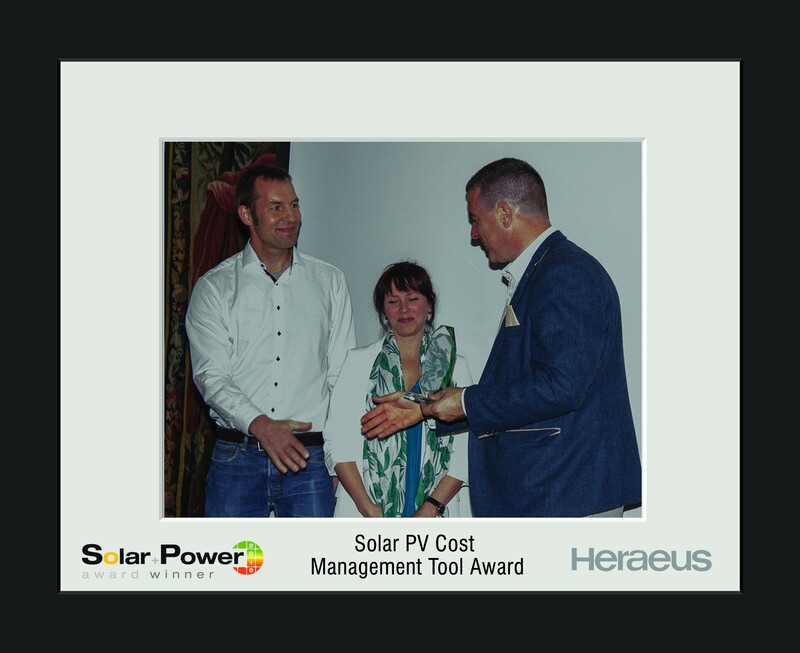 Summary: Humbrella is a new thin-film solar product developed by Hanergy. Weighing only 8.8 kilograms and a diameter of 2.7 meters, Humbrella is covered with thin-film solar panels, which is available for power generation on both sunny and cloudy days. Equipped with integrated functions of off-grid power supply, electricity storage, night lighting and terminal charging, the newly unveiled product is expected to store as much as 40,000 mAh, ensuring a 10-hour high-quality reading time for children, or charging more than ten 3,000mAh smartphones. Summary: Performing PV plants supervision in real-time, 24/7, and acting together with local O&M teams, services ensure a fast failures detection time, reducing the plant production losses and maximizing client's revenues. With more than 1.2 GW distributed across more than 450 PV installations (constructed by Martifer Solar or another EPC company). Voltalia is a certified company with the Solar O&M Best Practices Mark. A self-certification-based label developed by the SolarPower Europe O&M Task Force based on the recommendations of the O&M Best Practices Guidelines. 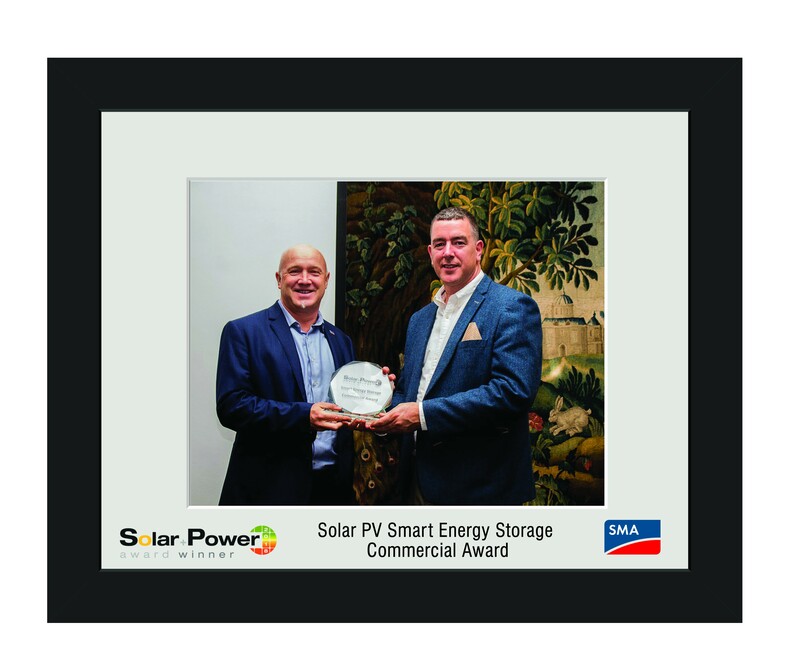 Summary: SUNNY CENTRAL STORAGE Grid-connected storage systems enable the integration of large amounts of intermittent renewable energy into the utility grid while ensuring maximum grid stability. The Sunny Central Storage is the central component of the SMA system solution for integration of large-scale storage systems. It is designed to compensate for fluctuations in solar energy generation and offers comprehensive grid management services. The battery inverter is optimized for the continuous operation at nominal load and temperatures of –25 °C to +50 °C and is compatible with different types of battery technologies. Thanks to its high input voltage range, the innovative, grid-forming Sunny Central Storage battery inverter is compatible with a wide range of batteries and integrates up to 100% of the renewable energy generated into stand-alone grids. The robustly designed medium-voltage stand-alone inverter in the megawatt class is able to perform black starts and is equipped with a SCADA-based communication system. It can offset fluctuations in the generation of renewable energies and provides a wide range of grid services. Summary: The sonnenBatterie eco is not just a battery, it's an intelligent storage system that automatically adjusts the energy usage in your household. In combination with solar panels the sonnenBatterie will enable you to supply yourself with clean energy – thus making you independent and protecting you from energy price hikes. The sonnenBatterie eco is a Lithium-ion phosphate storage system that utilises intelligent software to help you monitor your energy consumption and reduce your reliance on the National Grid. It does this either by storing the energy generated by a solar PV system or energy taken from the National Grid at off-peak times. By storing this free or cheaper energy you can significantly reduce the amount of higher cost electricity that you use and lower your home’s carbon footprint. It’s a multi-storage system which means you can purchase multiple units in steps of 2kWh. This not only means that there will be a capacity to suit most homes or businesses, but also that you can expand the system gradually if your energy demands increase over time. 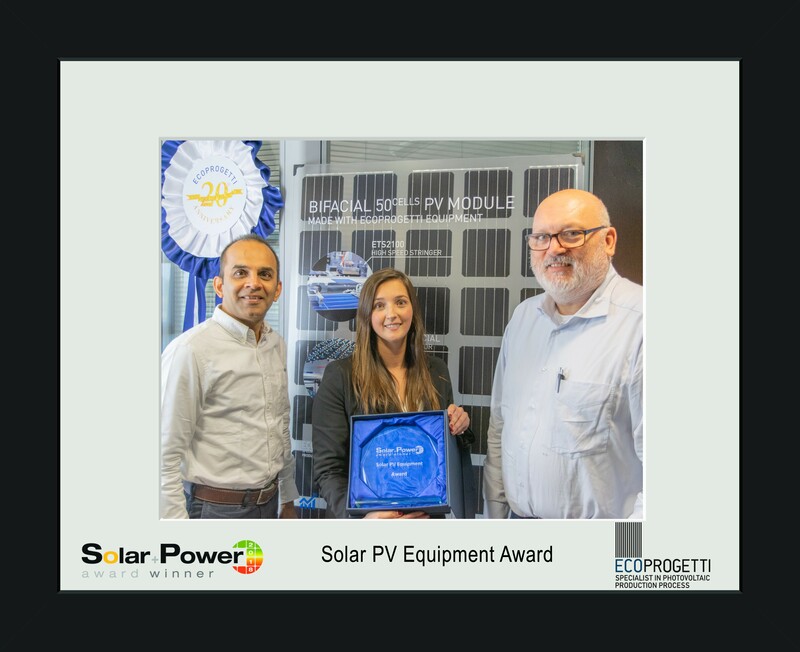 Summery: Dubai-based engineering, procurement and construction (EPC) contractor has commissioned 2.1 GW of solar power globally, and has another 2.5 GW of solar power under development and construction. 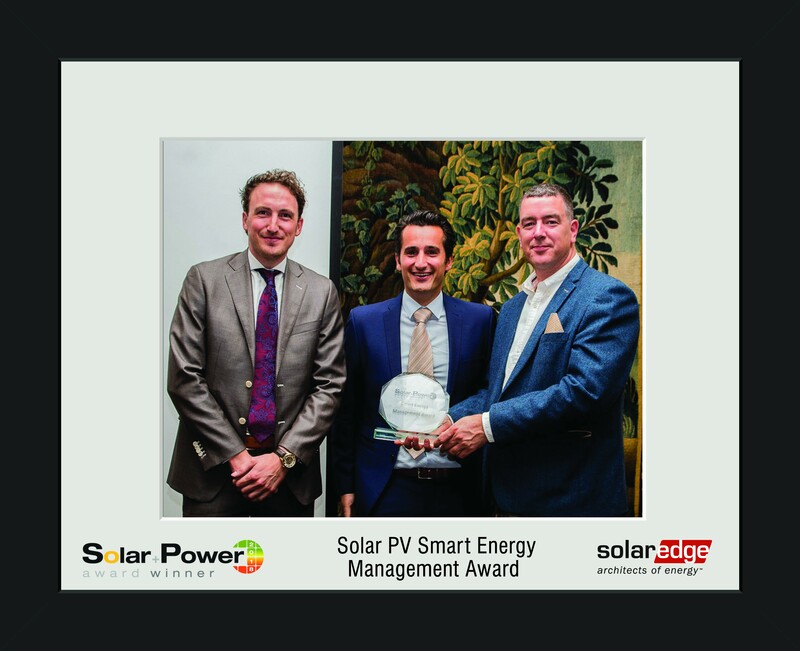 Solar + Power Awards is produced by Angel Business Communications - the organisers of the Solar Ireland, Smart Solar and Solar UK conferences. The awards ceremony will take place Brussels in September 2018.